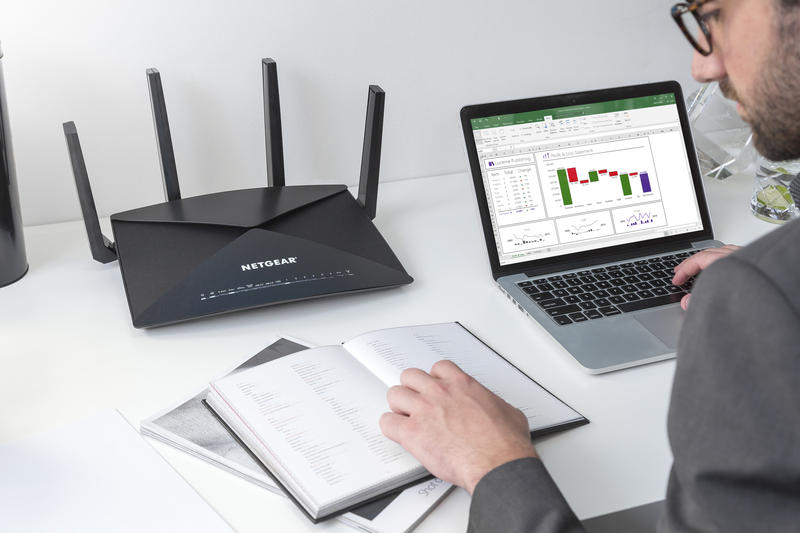 Netgear has added a new router to its popular Nighthawk line that’s designed to handle intensive tasks like 4K media streaming and virtual reality gaming. The Nighthawk X10 AD7200 Smart Wi-Fi Router features a quad-core processor operating at 1.7GHz (the fastest chip ever in a home router, Netgear says) and Quad-Stream Wave 2 Wi-Fi architecture as well as next-gen 802.11ad Wi-Fi. You also get MU-MIMO technology that supports simultaneous streaming while 160MHz doubles Wi-Fi speeds to mobile devices. The menacing router utilizes four patent-pending active antennas with amplifiers in the tips for improved range and throughput. All things considered, the San Jose-based company says the Nighthawk X10 offers combined wireless speeds up to 7.2Gbps. The X10 additionally features a 10Gbps Ethernet port for a fiber connection and six Gigabit Ethernet ports including two Ethernet aggregation ports. Also worth noting is the fact that the Nighthawk X10 supports Plex Media Server meaning you can run the software without needing a computer. Simply connect an external storage device loaded with your movies and TV shows to the router via USB 3.0. X10 buyers will also receive a three-month subscription to Plex Pass. As you may have guessed, a feature-filled home router of this caliber doesn’t come cheap. Expect to pay $499.99 for the opportunity.